Home › Home and Kitchen › Besiva Knife Sharpener 3-Stage Professional Ceramic Kitchen Tungsten Diamond ..
Besiva Knife Sharpener 3-Stage Professional Ceramic Kitchen Tungsten Diamond .. SAFE HANDLING - Besiva knife sharpener for all types of knives, including kitchen, household, sporting and pocket knives. Fast and easy to use. The handle of this sharpener keeps your hand safely away from the moving blade throughout the sharpening process. 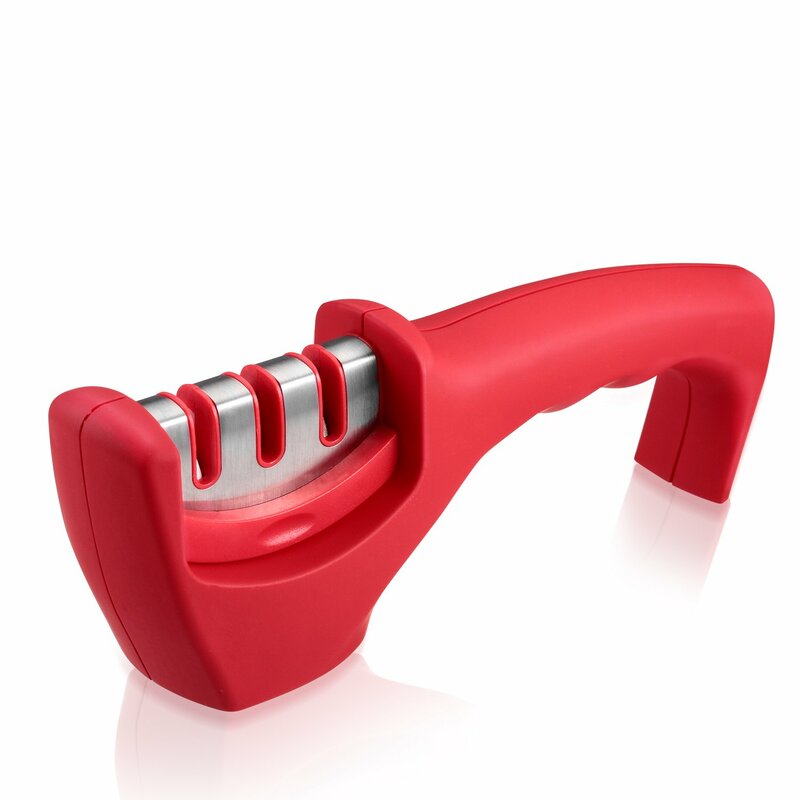 USAGE - Simply draw the knife through each slot a few times to achieve a razor-sharp edge. Stage 1-begins the sharpening process with coarse-grinding which suit to dull knives. Stage 2-continues sharpening with plating rod sharpening. Stage 3-completes the process with an extra-fine grit, it's an necessary step to eliminate the burrs on the knife and polish it, razor-sharp edge.it's for ceramic knives as well.